This is my second attempt to make these edible chocolate bowls. Chose to create different shapes - a textured tulip shape and smooth dome shape. These chocolate bowls can hold different treats and yummy desserts like chocolate candies, pretzel sticks, candied popcorns, custard, pudding, ice cream, mousse, whipped cream with fruits and the options are endless... 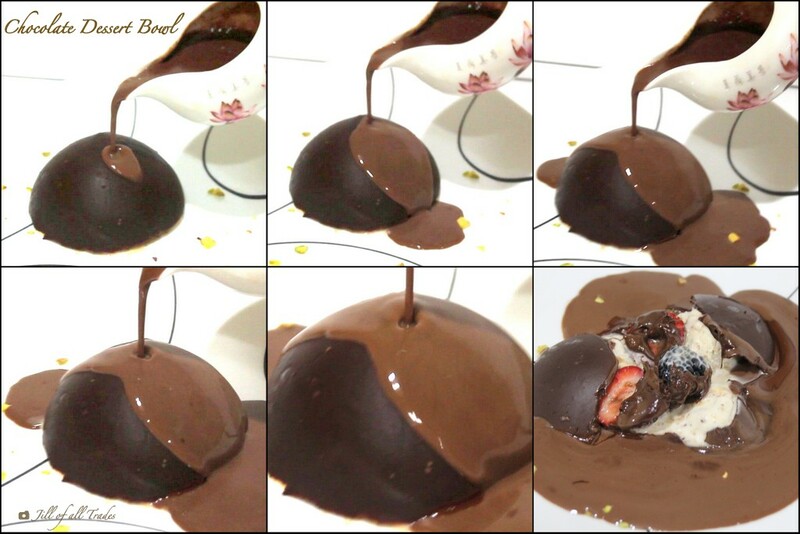 I have filled my Chocolate Tulip bowl with Eggless Tiramisu Mousse, CLICK HERE for the recipe. I also created a budding tulip for a milk-shake this time. Unique and beautiful! The best chocolate cups! !Nice video. Thank you Sarvesh for being supportive! Looks very yummy! Makes my mouth water! Awesome!